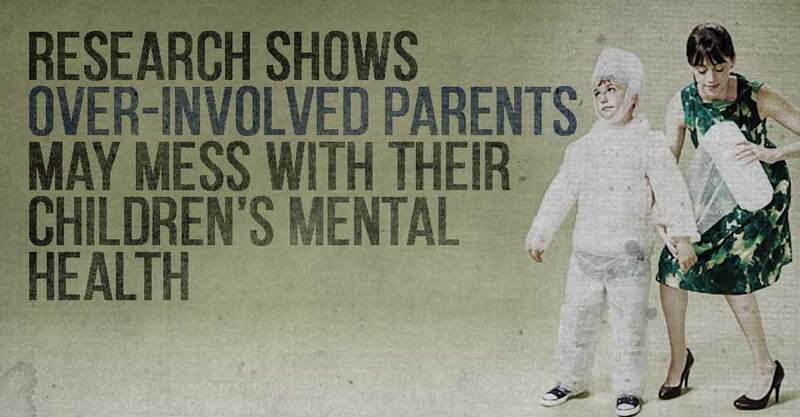 Parents who are too structured, and too involved in their children’s academic lives are causing more harm than good. I’ve seen the damage done, and heard the stories. When I was in college, I would speak to other students about their hopes, their dreams, and what they really wanted to do with their lives. The answers I received most commonly were along the lines of, “my parents want me to ______.” These were the children of those parents who planned out everything, who set the bar exceedingly high, and who took away their intellectual and emotional freedom. There they sat, telling me about their outwardly successful situations while coming to terms with the fact that their lives make them miserable. In 2013 there were numerous news stories regarding the increasing mental health concerns of college students. The 2012 survey accounted for more than 4.7 million students on 400 campuses. 95% of the counseling center directors of these campuses said the number of students with significant psychological problems is a growing concern on their campus. 70% said that the number of students on their campus with severe psychological problems has increased in the past year, and they reported that 24.5% of their student clients were taking psychotropic drugs. The surveyed schools included campuses in all 50 states, and varied from small liberal arts colleges, to large Ivy League schools. The mental health issues that are causing concern are not only found at the big name colleges, they are found everywhere. We can see that this is happening to students who end up at hundreds of schools in every tier. It appears that these mental health issues do not stem from the rigorous work of getting into an elite school, but rather from some aspect of childhood itself. Montgomery added that those students who were not constantly monitored by over-involved parenting, or “free-rangers”, exhibited fewer of those traits. A 2011 study by Terri LeMoyne and Tom Buchanan at the University of Tennessee discovered that students with helicopter parents are more likely to be medicated for anxiety, depression, or both. What the emerging data shows is confirmation of harm to our children’s mental health by asking so little of them regarding life skills, yet so much of them when it comes to sticking to the academic plans we’ve set. Now, I’m not saying that you should never be there for your kid, nor am I saying that they have to figure everything out for themselves. I know you love your children, and I know you want the best for them. The thing is, you can’t protect them from everything and you can’t live their life for them. Learning life-skills is a part of growing up, and if you take that away from them, they never have the experience of becoming an adult. They will always be there for you to pick up the pieces, and when you tell them to “be an adult,” well, they may be a little late to the party. The research shows that figuring out things for themselves is a critical part of people’s mental health. If you want to do more good than harm, stop telling your kids how to solve their problems and how to live their lives. Instead, ask them how they are going to handle their problems, and get those creative juices flowing. You can still be in the background to show support, but please, for the mental health of your children, let them figure it out. Hunchback generation: Do your children have text neck?